For those who enjoy learning about other countries and culture including their food, fashion, and of course eclectic music, then be sure to plan this year’s summer backpacking trip to the banks of the Mediterranean, Primavera to attend the Primavera Sound festival! Based in Barcelona, Spain is the best known music festival that originally set the model for urban festivals everywhere! 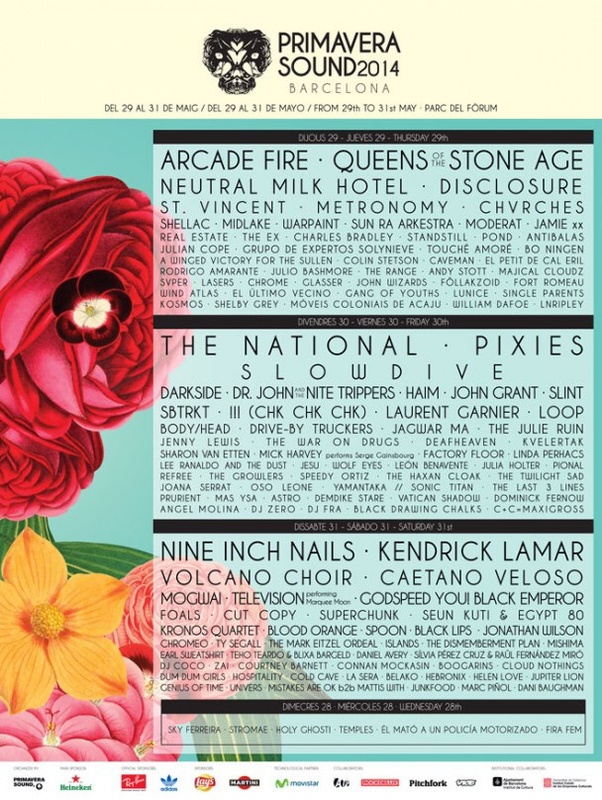 Primavera Sound began back in 2001 and is mainly noted for its pop rock and underground dance groups. This year fans can expect a large range of all different bands and genres in the lineup, which includes 50+ bands! Performances ranging from Arcade Fire, Kendrick Lamar, The Pixies, Nine Inch Nails, and many more! The festival begins May 28th and ends June 1st beginning with free entrance for opening day in Parc del Forum. Tickets range from 195 euros for general admission or 295 euros for VIP for the 4 day show. Be sure to purchase your tickets now before they sell out! For more information visit their website primaversound.es. THROWBACK: What Happened to The Cranberries?